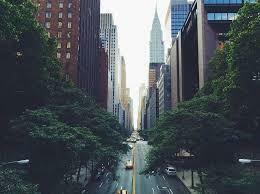 Daily living or traveling in New York City can be exciting and expensive at the same time. With food, transportation, shopping, museums and other productive activities, your wallet won’t be as happy as you are. Our team has narrowed down exciting things to do while maintaining on a budget. Throughout the day, transportation is key from getting to point A to B. Unless your willing to walk all day, the best reliable source is the subway, also known as MTA. Taxis and Uber can end up being overpriced, that’s why we remind you that the MTA Subway is only $2.75 a ride. 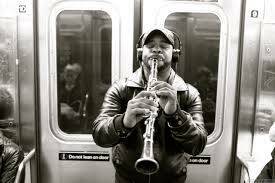 There’s never a dull moment on the subway; there’s a lot of interaction and many people showing off their musical talents. 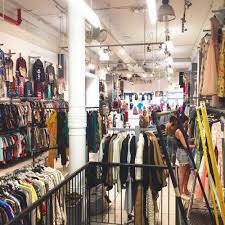 To keep up the latest styles, we recommend shopping at local thrift stores. Thrift stores offer inspiration with unique items available to purchase. Our top three local shops to hunt for are Beacon’s Closet, Buffalo Exchange and Vintage Twin. Another alternative would be to look for local street fairs in union square and many other spots. All that shopping and traveling has got your stomach growling! Head on over to $1 pizza! That right $1 for a New York slice. 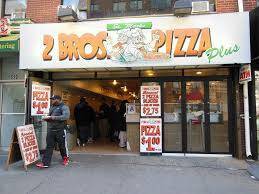 Our favorite spot is 2 Bro’s Pizza. Well known for perfectly melted cheese and crisp slices. 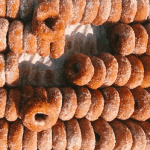 There’s also food on the streets that are just as appetizing, especially if you’re on the go. Local food vendors such as Smorgasburg in Brooklyn establishes food tastings and a sense of different cultures of culinary masters. Sight seeing, glorious paintings, sculptures, history, make NYC memorable. Considering most places are pay as you wish, donating as much as you want is up to you. 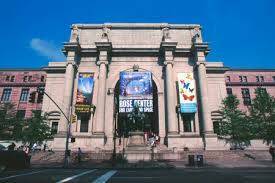 Places such as The Museum of Natural History, Metropolitan Museum of Art, P.S.1 MoMa, and The 9/11 Memorial are our top picks. If history isn’t your thing, a relaxing day in the park might be more enjoyable. Its free and there’s plenty of activities being held daily. As for overnight stays, hotel bills can add up at the end of the trip. We recommend using Airbnb; It’s fairly priced and gives a cozy home feel. There is also Hotel Tonight which is an app that’s great for last minute hotels, if you don’t have the time to plan ahead. Whether you’re living in NYC or planning to travel to NYC and want to save money, we’ve got you covered. Let us know in the comments below what sparks your interest!